The UHMWPE chemical hose (Ultra High Molecular Weight Polyethylene) is a high temperature, high pressure, discharge and suction hose. UHMWE chemical hoses are designed to withstand over 95% of all the most commonly used chemicals, solvents, and acids. They will not contaminate the product being transported. The UHMWPE chemical hose construction provides kink resistance, full suction capability, and flexibility. PTFE hose is extremely flexible and versatile for use as a chemical hose. For example, B-Flex PTFE and B-Flex-B Carbon PTFE hoses have smooth inner cores that makes them ideal for high pressure, easy drainage, and allows them to handle a variety of fluids due to their chemically resistant properties. Best of all, they have a non-aging surface, resulting in a long-lasting chemical hose solution for your manufacturing process and control. The Chemical B Chemical Hose is a multi-purpose general hose designed for stronger, oxidizing acids, alcohols, and ketones. The Chemical B chemical hose is also reinforced between synthetic textiles. The Chemical B chemical hose has a heat resistant cover that also protects against chemicals and weathering. A quality chemical hose has the strength and ability to transfer a variety of industrial chemicals and there are unique types of chemical hoses for various industry needs. A bit of research will help you find the chemical hose type that best suits your needs. For questions on the right chemical hose for our manufacturing needs, contact FlexFit Hose, where we test 100% of the chemical hoses we fabricate — not just a sample of the full quantity. FlexFit Hose is a worldwide leader in chemical-resistant hose, PTFE hose and Sanitary hoses. 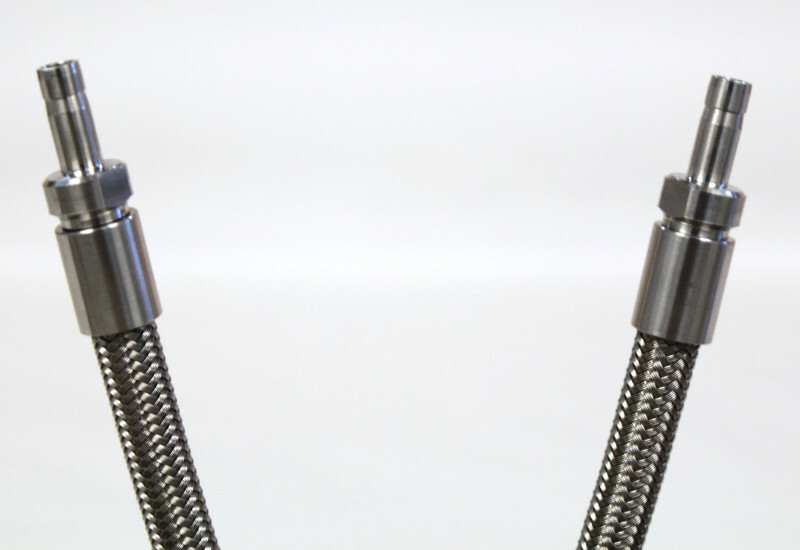 We fabricate all of our hose fittings in-house and put all of our stainless steel flexible hose assemblies through the strictest of testing protocols. That means that you’ll receive the highest levels of quality with every order, no matter if you order a small or large quantity of chemical hose assemblies. Unlike other chemical resistant hose suppliers, We always test every PTFE Hose. While some companies may rush out your order by only testing a small sample or ship out dirty components that requires you to do the cleaning prior to using the hoses, we would never treat you that way. When you order chemical-resistant hose assemblies from FlexFit Hose, you will treated as if you’re a long-term customer. We will answer any questions promptly and provide you with quick solutions to any problems. When it comes to providing you with your order, we can customize our chemical hose assemblies any way you wish and can accommodate highest quantity orders. We will also ensure that your order will ship within a day or two and will come cleaned, labeled with traceability information, and ready for use. Whether you require a chemical hose, chemical hose assembly, high pressure chemical hose assembly, you want to ensure that the assemblies will be resistant to wear and corrosion by any harsh chemicals. It is important to use a chemical compatibility chart to so see which material best fits the application. Then you are able to determine if a PTFE Hose assembly or an all metal hose assembly makes sense. We help countless companies in a variety of industries with their braided chemical hose requirements. These companies trust us because they know that we stand behind our craftsmanship and will provide you with all product testing results along with your order. 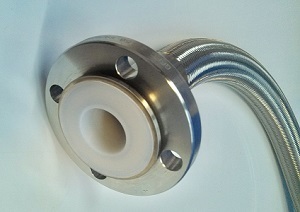 If you require us to customize your hose fittings for any application, we can help there as well. If you need chemical-resistant hose, we’re ready to fabricate and ship. The first step is to call or email us for a free quote. When you need chemical hose, call our sales department to speak to a knowledgeable representative. Another option is to email us or submit a quote request form online. Our team is trained to make you feel comfortable throughout the ordering process. 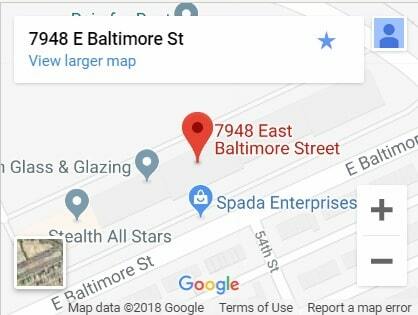 This means that all of your questions will be answered and we will provide you with any solutions that will effectively alleviate your concerns. Our manufacturing experts also take the time to get to know you and your production line processes. These efforts are necessary to customize your chemical-resistant hose for your exact use. When we know what you’ll be using the braided chemical hose for, then we make specific model recommendations. Check out our chemical resistant hose catalog so that you can pinpoint the types of hose components you need for your initial order. If you’re unsure of what types of assemblies you might need, we can provide you with recommendations based on our expertise and using other organizations within your industry as a guide. In many cases, we are required to custom-design chemical hose assemblies to fit your unique needs. If this is the case, we can certainly accommodate you. Because we fabricate all of our hose fittings in-house, we retain control of the entire quality assurance process. We then further test all of Chemical hose assemblies and other assemblies to ensure they are of the highest quality before they are shipped out to you. Whether you have a small order or a highly customized order, we can have your chemical hose order submitted to you in just a day or two. That means your production line can be up and running quickly and be well-maintained for long time in the future. Depending on your type of industry, we make custom chemical hose assemblies for any application. Whether you know what types of hoses you need or you need help identifying the ideal flexible hose types for your needs, call and speak to a chemical hose expert today. Our specialties are hose assemblies such as stainless braided PTFE hoses to All metal Stainless braided hoses. We have various materials that can be used based on the chemicals you are dealing with. Many of our high-pressure hoses are designed to have gases, liquids, and granulates flow through them regularly. When all of this media is flowing through your hose assemblies, only the toughest materials will keep your hose operating for as long as you need it to. When you choose FlexFit Hose, we guarantee that our chemical hose products will be built to last and can stand up to the harshest of industrial chemicals to keep your production line operating smoothly. We offer every component that comprises a chemical hose assembly. From the crimp collar components to the braided chemical hose, each part will remain attached and working as required. FlexFit Hose uses only the highest-quality materials that keep our chemical hoses working strong for years. We take time fabricating our braided chemical hoses because we take pride in our craftsmanship and know that your production line is important to you. For that reason, you can count on our braided hoses, guaranteed. PTFE hoses assemblies with tube adapter ends are used in instrumentation applications which may be used at a chemical plant. We thoroughly clean each of our hose assemblies prior to shipping. We also keep meticulous inventory records, so we can ship any component at a moment’s notice whenever you have the need. Even if we need to customize your order, we’re known for keeping customized parts in our warehouse. If you ever need a customized chemical hose assembly, we can ship out your order as soon as possible, ensuring you receive it within one or two days. You should never trust your stainless-steel flexible hose to just any manufacturer. 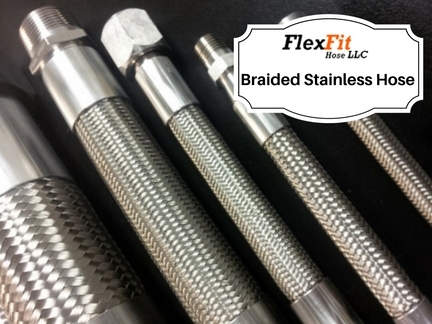 Only FlexFit Hose provides you a stringent quality-control process. Other companies may only test a small sample of their product line. If those components pass inspection, they claim the rest of their inventory is high quality. The only way to be sure that a hose does not have any leaks like a pinhole leak is to test every hose assembly. We test every PTFE hose assemblies to make sure that it passes a hydrostatic pressure test to 1,000 PSI.. That means that if you order chemical hose and associated components, you can rest assured that you’re receiving the best materials, the strongest stainless steel flexible hose, and a chemical resistant hose. What Type of Chemical Hose Do You Need? Various organizations have different requirements with regards to chemical resistant hose. Hose diameter and length are considerations, and you need to identify what type of chemical you’ll be using. This helps us provide you with the best chemical hose assemblies for your unique needs. We specialize in giving you highly-customized solutions so that you can keep your production line operating without expensive stoppages and other problems that can damage your bottom line. Whether you require chemical hose components, stainless steel braided chemical hoses, or any other type of chemical hose components, we are standing by to assist you. When you need chemical resistant hose, you should never wait. We can have your customized order shipped to you in just a couple of days. First, you’ll need to let us know what you’ll be using the chemical hose components for. This helps us provide you with helpful advice and recommendations as to which models of chemical hoses are right for your needs. Global Chemical Hose Leaders: We regularly help clients all over the world. If you require chemical hose assemblies for any industrial application, call and let’s discuss your unique needs. We can fabricate your hose assembly quickly so that we can get you up and running. Superior Customer Service: We take customer service extremely seriously, which is why you can remain confident that we will assist you quickly and efficiently. If you have questions, need us to alleviate your concerns, or you wish to place an order for low or high quantity chemical hose order, we’re standing by. Our representatives are skilled and experienced at helping you satisfy your production line needs with the best chemical resistant hose in the industry. Call and tell us how we can help you. Highest-Quality Materials: Each of our chemical hose components is made of the highest-quality materials. Only these superior materials can deliver the level of strength and long-lasting quality you need. When you use our chemical hoses, you need them to stand up to harsh chemicals and subsequent lifecycles. Because we are so confident about our quality assurance processes, we stand behind the durability and flexibility of our chemical hoses and hose assemblies, meaning you can rest easy knowing that you’re making the best investment for your custom hose assembly needs. In-House Fabrication: We create all of our chemical hoses right in our facilities, including our stainless steel flexible hose components. That lets us keep a close eye on our quality control. However, even after our products leave our production line, we put them through a strict testing protocol. When you receive your package, the results of those quality checks will be included in the box for your convenience. That means that you never have to wonder if your hose fittings and braided chemical hoses will hold up as you put them to good use. When you choose FlexFit Hose, you can always guarantee that our chemical hoses work as intended. Quality Assurance Checks: We don’t merely test a small sample size of the total order. Instead, every fitting and hose we manufacture is inspected and put through a stringent testing protocol. If there are problems or defects, the part is discarded and replaced. We will never send out components that are dirty or defective in any way. That’s the FlexFit Hose guarantee. Proper Packaging: When you call us for a free quote and then give us the green light, we will ship your package carefully. Each custom chemical hose will be thoroughly cleaned inside and out. This ensures that the components will be ready to use at a moment’s notice. Each product is also logged and a detailed inventory analysis will be submitted to you, allowing you to re-order with ease. If you need a replacement part, even if it’s customized, we can get it you quickly. Fast Shipping: We never want you to wait for the chemical hose assemblies that you order. For that reason, the moment you call for and approve your quote, we’ll get to work fabricating your custom-made chemical hose components. Even with all of our testing and careful packaging processes, we will still manage to get your package to you in rapid fashion. Typically, from the moment you approve the quote, the clock will be ticking, and we guarantee that we will ship your order in just one or two days. Do you require chemical resistant hose for your industrial needs? Don’t choose companies that don’t care about your customer care, that might ship dirty or defective products, and those that overcharge for such unprofessionalism. 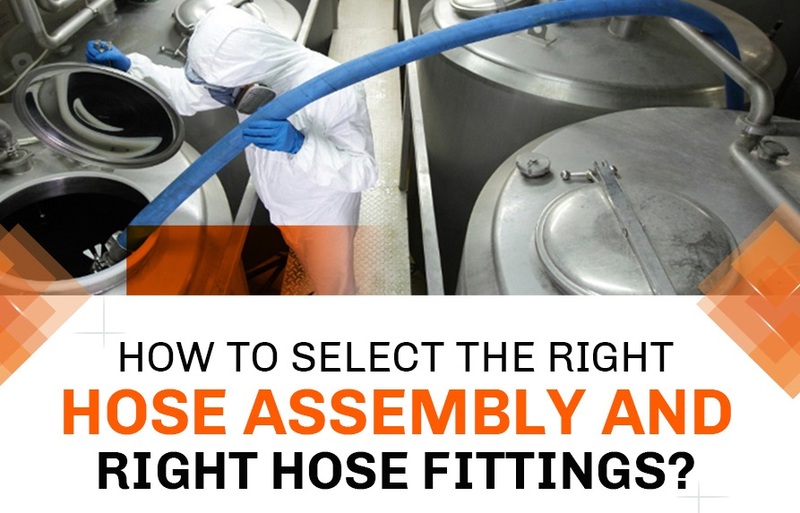 Instead, choose FlexFit Hose for all your chemical resistant hose needs. We can customize any sized order and will get you the hoses and assemblies you need quickly, when you need them. If you want to keep your production line working long into the future, call us for a free quote.